*All measurements in this post are approximate. I’m not much for measuring and I toss things in randomly. But considering the ingredients, you can’t go wrong with this one. Cut the peach into thin slices. 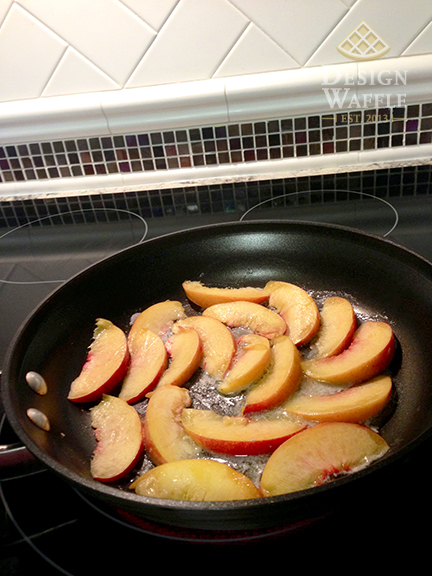 Add 2 tablespoons of butter and 2 tablespoons of sugar to the pan along with the peach slices. 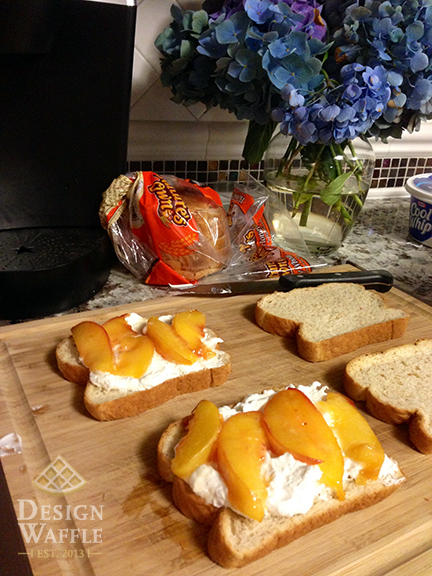 Cook until the peaches are warm and soft, about 5 minutes. 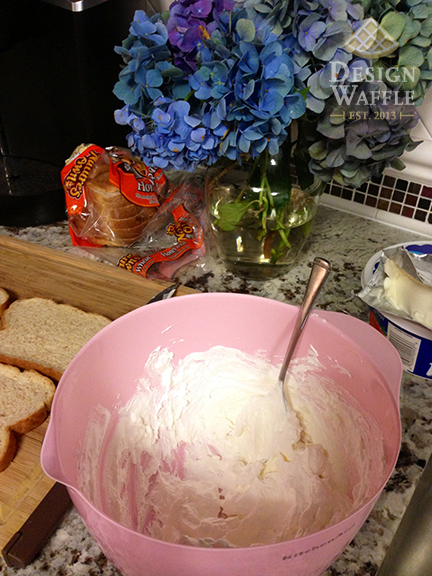 Stir together the cool whip and cream cheese, adding around 2 tbsp of sugar. You could use less depending on how sweet you want it to be. I obviously like sugar. 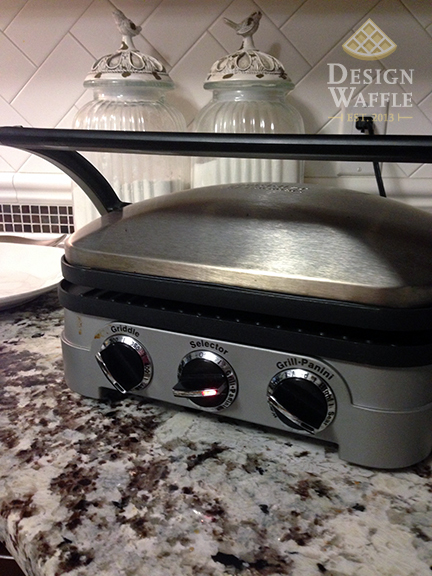 I didn’t bother using a mixer because the griddle will melt it all together. I melted about 2 tablespoons of butter and then mixed in 1 teaspoon of vanilla, 2 teaspoons of cinnamon, and 1 and a half tablespoons of sugar. 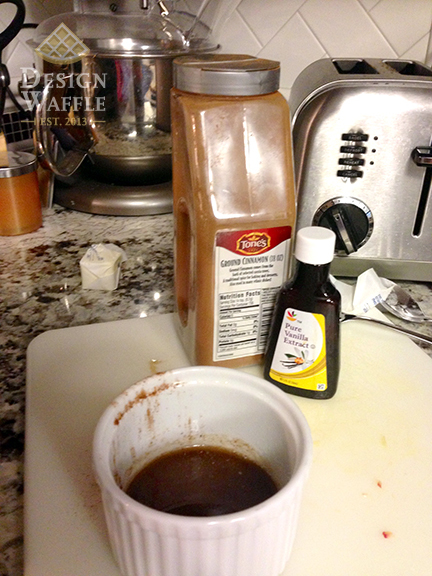 Then I used a marinade brush to apply the mixture to the outsides of the bread. As you can see, all that sugar in the butter mixture really crystallized into a crispy, crunchy goodness on the bread. It was sooo good! 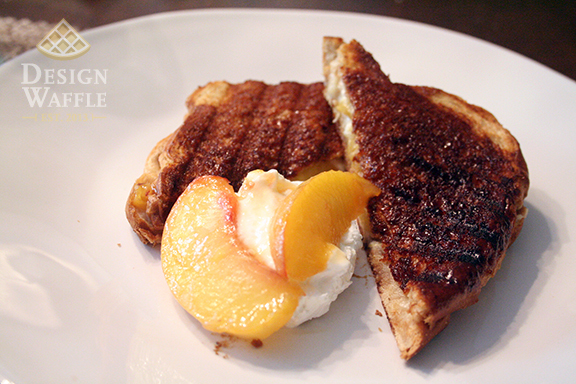 The only thing I’ll change next time is use even more cream and peaches inside the sandwich. 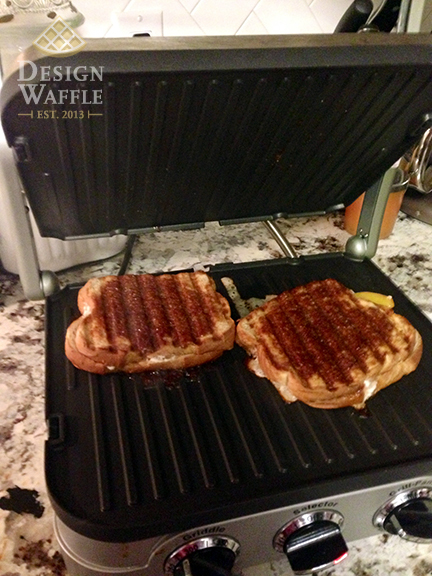 I was afraid it would all melt out in the griddle but that didn’t really happen. I’d also like to try blueberries next time in addition to the peaches. We were working with whatever was in our kitchen this morning. 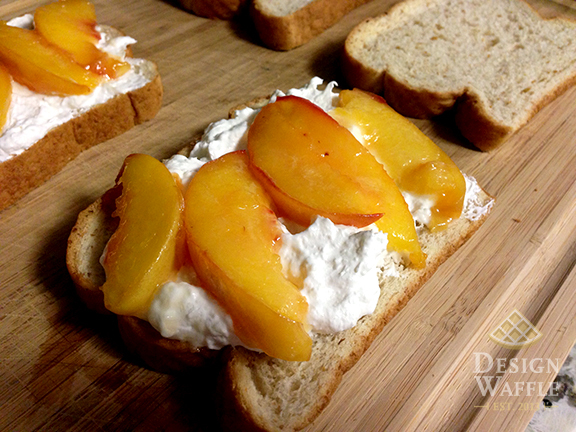 Since the sandwich is hot, I added some cold cream and cooked peaches to dip the sandwich in. This breakfast was a total win in our house, but considering we usually eat pretty healthy… this will be a special treat every once in a while. This was also a really quick breakfast, which scores it some major points because I’m impatient. 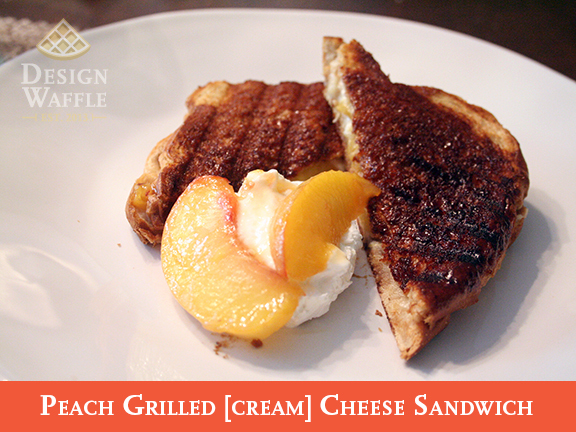 This entry was posted in Food and tagged Breakfast Sandwich, Design Waffle, Food, Peaches and Cream Breakfast, Recipes. Bookmark the permalink.